The Nigerian government has revealed the name and logo of the new national airline on today, the 18th of July, 2018. The unveiling was done at Farnborough Air Show in London. The Farnborough International Airshow is the industry's largest air show and aerospace technology exhibition. In attendance were thousands of commercial and defense aerospace professionals, the Nigerian Minister of Aviation as well as other dignitaries. The Minister of State for Aviation, Sen. Hadi Sirika said he would explore every opportunity available at the air show to attract more prospective investors into the Nigerian aviation environment. The Minister also added that by December 19, the first five aircraft of the airline would be delivered. This is a phenomenal achievement in Nigeria, “The new national carrier will bring Nigeria closer to the world,” the presidency said. The Minister of State for Aviation, Sen. Hadi Sirika during the conference said “It is a business, not a social service. The government will not be involved in running it or deciding who runs it. The investors will be solely responsible for running the business. “The Nigerian Government will not own more than 5%) of the new National Airline. The government will not be involved in running it or deciding who runs it,” he added. This is a huge accomplishment by the Buhari administration coming after 15years of shuttling down the Nigerian owned airline on the basis of mismanagement. The initial take off was financed by the government but afterward, the business would be privately owned. The airline pre-startup cost is $8.8 million and will cost over $300 million in the next three years. The airline will have flights on 81 domestic, regional and international routes. This feat would help to promote the country’s economy, culture and put the country on the world map. New terminals in Lagos and Abuja Airports will add 11 million passenger capacity in each of the two airports. Lagos currently does 8 million per annum (was built in 1979 for 200,000 passengers annually), while Abuja does 5 million." This latest development is a medium of saying Nigeria, particularly Buhari’s Administration has done something that all other administrations could not despite the available resources. On Thursday the 12th of July, 2018, President Muhammadu Buhari commissioned the Lot 1A and Lot 3 of the Abuja Rail Mass Transit with a promise of support from the federal government for the negotiations towards the completion of the second phase of the Light Rail system. The 1435mm standard gauge project is the first of its kind in West Africa, and it covers a total length of 45.3 km. 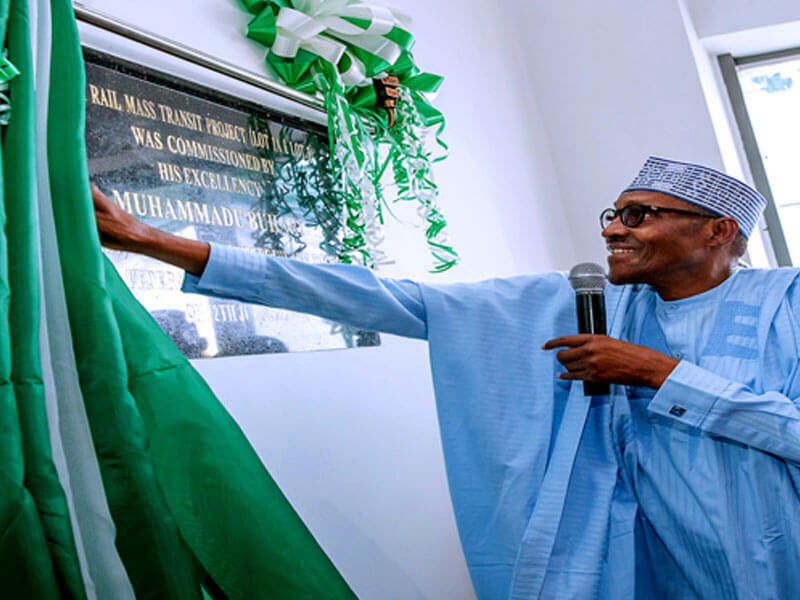 President Buhari commissioned the project constructed at the revised fee of $824m at the Abuja Metro Station. Accompanied by some members of his cabinet and the Chinese Ambassador to Nigeria, Dr. Zhou Pingjian, Buhari later embarked on a tour of the Idu Control and Operation Centre and the International Airport Train Terminal. He described transportation as the live wire of any city and stressed that he is optimistic that a modern rail service would be a boost to the FCT economy and an enhancement to its social life. 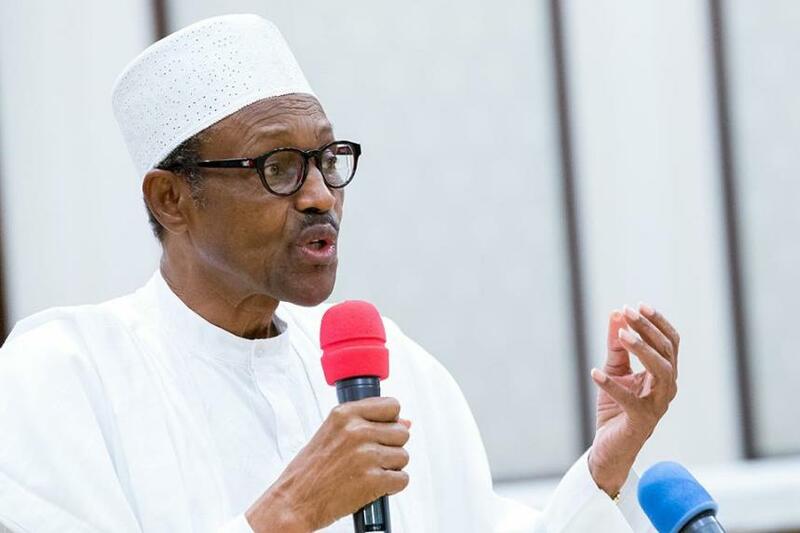 Buhari urged the management of the rail services to ensure efficient operations, punctuality, good customer service and maintenance culture in the operations of the rail. He stated that the light rail is evidence that the government is one that delivers on its promises. The FCT Minister, Muhammad Musa Bello, said the Rail Mass Transit System was made up of 6 Lots and would be linked with the National Rail Network when eventually completed. He stated that the Federal Executive Council (FEC) had approved for construction by China Civil Engineering Construction Corporation (CCECC) the construction of phase II of the rail project, and it’s expected to cover a distance of 32.54km from Nnamdi Azikiwe Expressway at Garki Area l via the transportation Centre to Gwagwa and from Bazango Station to Kubwa at the cost of $1.3billion which would be funded by China Exim Bank. CUPP: A Merger for Nigeria's Future? 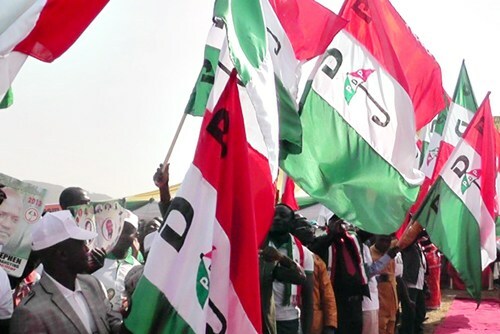 The People’s Democratic Party, PDP, on Monday, July 9th, 2018, formed an alliance with over 30 political parties and announced a new name called Coalition of United Political Parties (CUPP) and Nigerians cannot help but be pleased with the latest political development in the nation's political landscape. 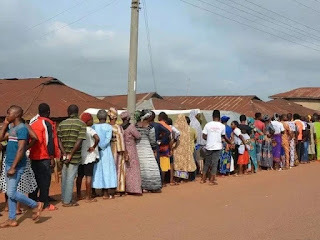 Even to the uninitiated, this bedding of strange bedfellows called CUPP, sealed by the PDP and it's 37 satellite political parties were not in any way novel or exciting, a similar alliance gave birth to the ruling All Progressives Congress (APC) in 2014. The difference between the political considerations that birthed the APC and CUPP alliances is the driving force; the motive behind the curtains that birthed the coalition. The APC was borne out of the need to rescue the Nigerian ship from internal devourers aka the political cabal masquerading as the captains to her Promised Land destination. The political cabal held the nation by the jugular while her people fed on the crumbs falling off their dining tables. CUPP was borne out of the political elite's desperate need to grab a hold onto the power President Muhammadu Buhari had taken from them before the nation finally slipped out of their grasps. Take a good look at the composition of CUPP and you will see the political elite behind the various upheavals bedeviling Nigeria since the beginning of time. The APC was a merger of parties which resulted in the registration of a political party needed to rescue the country's political machinery from the chokehold of the former ruling party (PDP) which was hell-bent on taking the country to the abyss of no return through mindless looting of the treasury without fear or consequences. CUPP, on the other hand, was borne out of some entitled politicians' sensibilities and need to settle personal scores with President Buhari for denying them access to the national purse. With Buhari, access to the public is not business as usual. The flow of illicit funds had dried up through the implementation of fiscal policies like the Treasury Single Account (TSA) and the Bank Verification Number (BVN). Buhari endured a love-hate relationship among the political elite, their cries of, "Baba no dey drop," rent the air because it is an open secret he would not trade his integrity for filthy lucre. Buhari, while he was the darling of the masses, became the enemy of the political elite, even with his own ruling APC, because he would not play ball with treasury looters. The plot to unseat him over his unyielding stance on the anti-corruption war which haunted many in the opposition party had been on since his inauguration on May 29th, 2015. Do not look too far, the people desperately looking for Buhari's fall have herded themselves into the CUPP. The plot to unseat President Buhari in the 2019 elections is not entirely surprising to the Nigerian electorate; Nigeria has a leader fearless in the face of multiple challenges facing her peoples. But the price to pay for the restoration of sanity to public office has been laced with many booby-traps, Buhari had warned that corruption would fight back, and the warning did not go without passing. For attempting to pull down the house that corruption had built since the return to democracy, Buhari earned the scorn of the political elite, and they, in turn, made sure the people felt the heat. Because the tap of illicit funds had run dry, the political elite infiltrated the streets and spread news of Buhari impoverishing the nation with his tight-fisted fiscal policies. 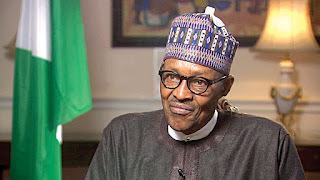 He got the blame for every economic woe, even those beyond his control like the 2015-2017 crash in international oil prices, the economic sabotage in the public service occasioned by errant members of the ruling APC as recorded in the budget padding saga and the arbitrary delay of the 2017 and 2018 appropriation bills. Who else benefits from budget padding but the political actors who make up the CUPP? For dealing bribery and corruption a deadly blow, Buhari would have been celebrated in other climes but back home, he was slandered and blamed for taking food out of the ordinary Nigerian's mouth. The growth Nigeria was looking for required sacrifice on the part of her peoples, the political elite painted and helped propagated the message that Buhari was on the path to ruin Nigeria and her resources. Nigeria's previous economic managers failed to add a kobo to the foreign reserve at $29billion when oil prices were at an all-time high before 2015. Buhari, on the other hand, supervised the addition of $18billion to make it $47billion as at the second quarter of 2018. Abiding by the Rule of Law, looters were made to part with the illegally acquired loot for the first time in the political history of Nigeria under the Buhari administration. The embattled looters, majorly members of the former ruling PDP, took to the streets, screaming accusations of witch-hunting. President Buhari did not see the mission to rescue Nigeria's funds from looters as a personal one, no single repatriation was done outside the law courts, yet his detractors would not cease to pour opprobrium on him at every opportunity. Buhari does not interfere in the arraignment of any member of the political class for corruption, not even when members of his ruling party like Babachir David Lawal, was involved. Everyone would get his day to clear his name of whatever graft allegations in court, Buhari does not exempt or protect anyone. When attacking his person failed, the political elite resorted to underhand tactics, the latest of which was the propagation of fake news. Buhari attackers are all in the CUPP of controversy. Have you stopped to ask yourself why the good of the Buhari administration is under-reported and bad news like ethnic violence given the front pages of the electronic and print media? Do you wonder why fake news has taken over the social media space? Because someone is pushing the narrative of President Buhari being unfit for office, hence, Nigerians should deny him re-election in 2019. Why did the age-long farmer-herders clash caused by ecological problems like desertification suddenly assume an ethnic coloration under the Buhari administration? That's because it's what the political elite want Nigerians to think their president is protecting the marauding herders from the long arms of the law. Nigerians should ask themselves why the outcry against the Federal Government's suggestion of funding cattle ranches now while there was no opposition against it when it was first mooted in January 2014. The previous administration did not only suggest the building of ranches for herders, the project was funded to the tune of N100billion. How come no one protested against the move in 2014? Where is the cattle ranch settlement fund allocated to the 2014 cattle ranch project? It has disappeared because the political elite ate it. The funds they ate in 2014 culminated in the farmers-herders violence the lop-sided press has dubbed the Fulani herdsmen ethnic cleansing in 2018. Freedom of expression and political association is an undeniable and inalienable right to every Nigerian, so the social engineering the CUPP is trying to create is not wrong, politics is a game of numbers and they are trying to win the 2019 general elections. The motive, though questionable is not illegal either, the political elite can choose for themselves a leader who fits their aspirations. But never again will Nigerians welcome the return of unbridled graft and corruption to Nigeria's political sphere. None of the members of the shady coalition called CUPP has proven himself to be morally upright and bereft of corruption. Each and every one of them has allegations of corruption dangling over their heads like the proverbial sword of Damocles, giving them their heart desires would return Nigeria to the dark ages. They don't want to remove President Buhari from office because they share concerns about Nigeria's development, their concern is to push out the man who put corruption in a chokehold. For Nigeria to remain on the path of progress, the anti-corruption campaign effort must be sustained among the political elite. The change President Buhari is nurturing should not be allowed to die, the CUPP mission has already failed at the launch. The APC is glad to get rid of its destructive elements, Nigeria glad the enemies of her progress have herded themselves into one coalition. Now that we know who we are up against, we cannot wait to exercise our patriotic duty of electing the leader who cares about the true development of our nation. When teachers cannot pass their exams what are they suppose to teach the children? It is a very tragic situation we are in. Our country is facing numerous challenges in education and all other sectors as a result of historical abuses, mindless impunity and corruption is not news to anyone. An estimated 13.2 million children out of school, high illiteracy level, infrastructural deficit and decay, unqualified teachers, and inadequate instructional materials, to mention some of the challenges, this shows the effect of decades of neglect that the educational sector has suffered. - A full review of the Universal Basic Education Act with emphasis on gender equity in primary, secondary school enrolment whilst improving the quality and substance of our schools. -Targeting up to 20 percent of the annual budget for this critical sector whilst making substantial investments in training quality teachers at all levels of the educational system. -Reduce malpractices in the sector to a low level. -Enhance teacher training and improve the competence of teachers in the light of the 21st Century. – Provide one meal a day for all primary school pupils as this will create jobs in agriculture, catering, and delivery services. -Develop and promote effective use of innovative teaching methods/materials in schools. -Ensure a greater proportion of expenditure on university education to help improve the sector. -Establish at least six new universities of Science and Technology with satellite campuses in various states. -Address the out-of-school children phenomenon. 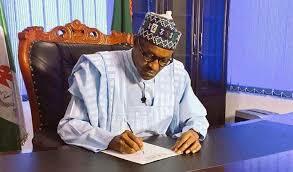 -Ensure 30 million Nigerians become literate within three years. -Re-negotiate the 2009 Agreement with unions in the tertiary sector. -Academic stability at all levels. -Attracting best brains to the teaching profession. -Reducing the percentage counterpart fund paid by states to ease their access to funds. -Providing e-learning, technical and vocational education and training, education data and planning and adult literacy including special needs education. -Providing educational support to deportees. -Presented a roadmap for ‘radical change’ in the education sector between 2016 and 2019. -Introduction of national headcount of pupils and personnel in all primary and junior secondary schools. -Compulsory basic education for pupils especially in Bayelsa State. -Implementation of open distance and flexible learning for 25 polytechnics. -Approval of N1.9 billion intervention fund for each university. – Introduction of the school feeding programme. -Modification of the United Tertiary Matriculation Examination (UTME) for candidates seeking admission into the higher institutions of learning by introducing Central Admission Processing System. – Making JAMB, Nigeria’s foremost admission body to tertiary institutions, not only more transparent but also more productive. -Approval of 15 university online learning centers. -Revamping data-collection system in the education sector. -Introduction of Teachers’ professional examination. Whilst we acknowledge the work done, there is still more work to be done. More importantly, the President Buhari administration needs to take solid measures towards addressing the issue of producing unemployable graduates by some institutions. If not, this negates all the good work done.